Update: BBC Will Play Clip Of 'Ding Dong The Witch Is Dead' : The Two-Way Radio 1 had an issue: Should its Official Chart show play the song, or would that be too tasteless since it was pushed to the top of the charts by critics of Margaret Thatcher? Those who didn't admire the Iron Lady have used the song to make their voices heard. There's word from NPR's Philip Reeves in London that BBC's Radio 1 now says its weekend Official Chart show will play "a clip in a journalistic environment" of "Ding Dong The Witch Is Dead," which critics of former Prime Minister Margaret Thatcher pushed up the British charts this week after the Iron Lady's death. "BBC Radio 1 controller Ben Cooper has said that a 'four or five' second clip of the Wizard of Oz song at the center of an anti-Margaret Thatcher campaign will be played on the Official Chart Show. Sales of 'Ding Dong! The Witch is Dead' have soared since the former Prime Minister's death on Monday, aged 87. "Mr. Cooper called the decision 'a difficult compromise' and said he was 'stuck between a rock and a hard-place.' "
Former British Prime Minister Margaret Thatcher in 1996. 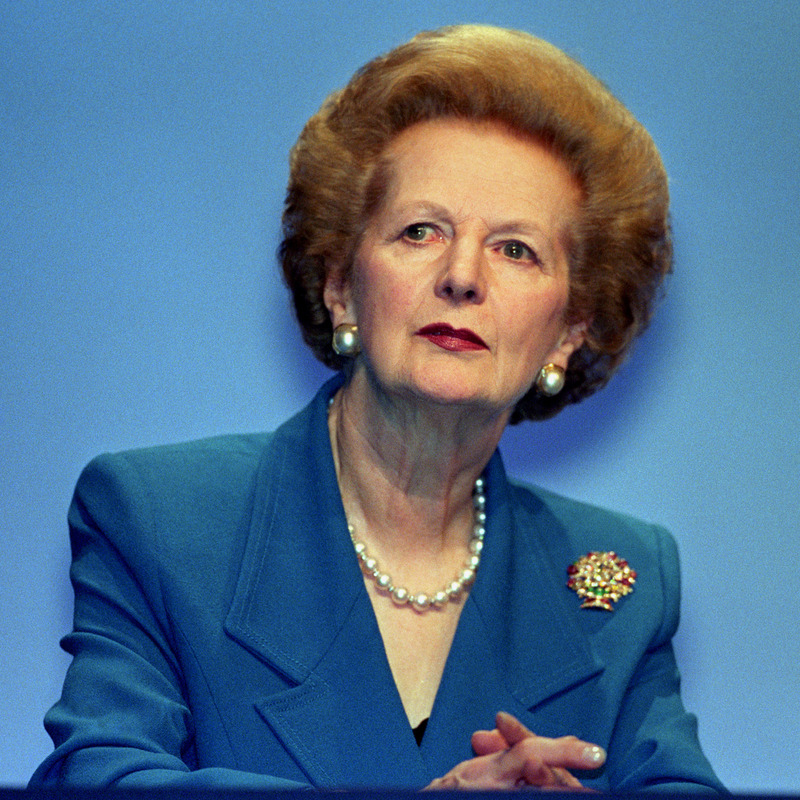 The death this week of former British Prime Minister Margaret Thatcher has provoked may words of praise — and many celebrations by those who did not admire the Iron Lady. Should Radio 1 play the song this weekend on its Official Chart show, which as the name implies rounds up the hottest songs each week. "Hall told staff on Thursday that he personally thought the song and the accompanying social media campaign launched following Margaret Thatcher's death on Monday by people protesting against the former Conservative prime minister's 1980s policies was 'tasteless,' but stressed that the editorial independence of the BBC was sacrosanct." It's possible, the Guardian reported earlier, that if the song is played "in what is thought to be a first for the BBC chart show, the corporation [may have] a Newsbeat reporter explain why a song from the 30s is charting to Radio 1's target audience of 16- to 24-year-olds." Should BBC Radio 1 play "Ding Dong, The Witch Is Dead?" Note: That's just a question, not a scientific survey of public opinion. We'll keep the question open until midnight ET Friday. Thatcher, as our Music Desk colleagues wrote earlier this week, had quite an effect on British music.